The Costa Brava has so many wonderful towns and villages that it can be hard to pick one for your holiday stay. Here's a selection of our favourites. 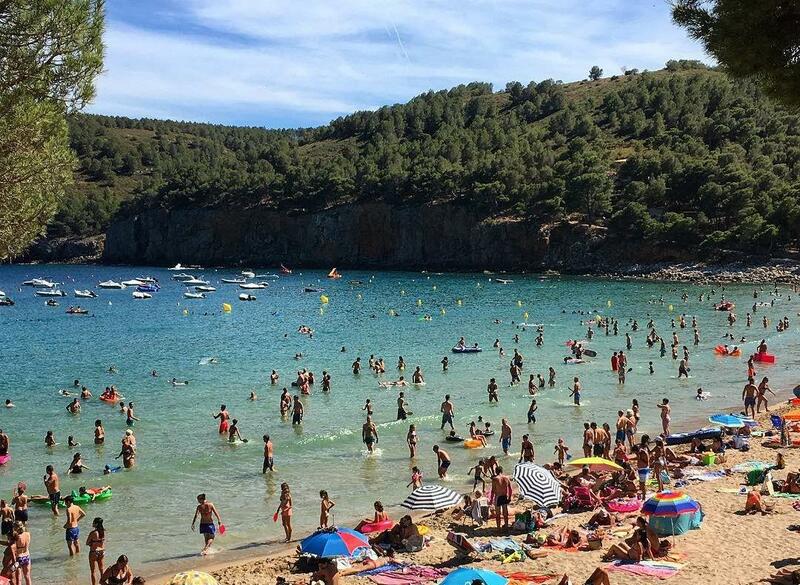 It will also help you to decide which places you want to go and see during your Costa Brava holiday, as many of these towns will be close enough for you to visit them for the day. They are well worth it! 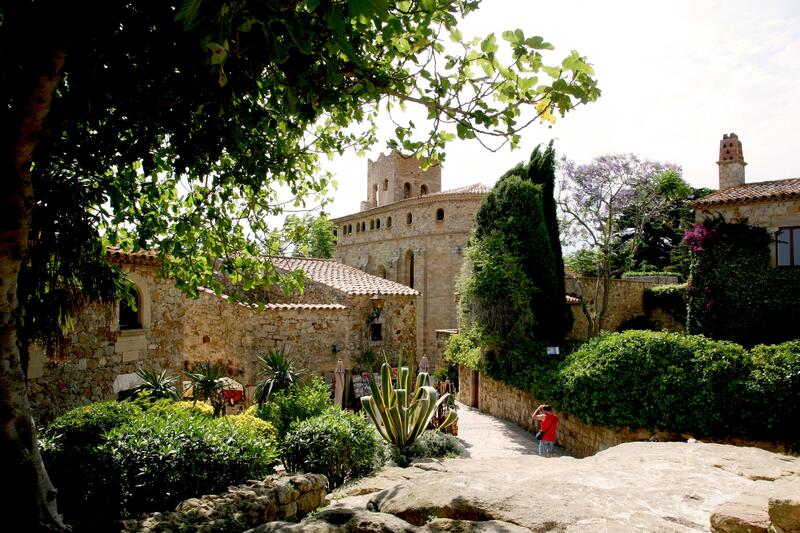 Pals is known as one of the most charming villages on the Costa Brava. Perched on a hilltop, it was built around a fortress and has kept its medieval look so well that a visit to Pals is like travelling back in time. Its old town was even declared a Site of Historical Interest in 1973. Its local traditions and gastronomy have been cherished up to today and several gastronomic and cultural events are organised throughout the year. The surroundings are simply breathtaking, with an unspoilt beach, dunes, wetlands and rice fields - all part of a natural park! Tossa de Mar is that rare town where you can simultaneously watch the Mediterranean waves and get a charming view of medieval history — without even turning your head. 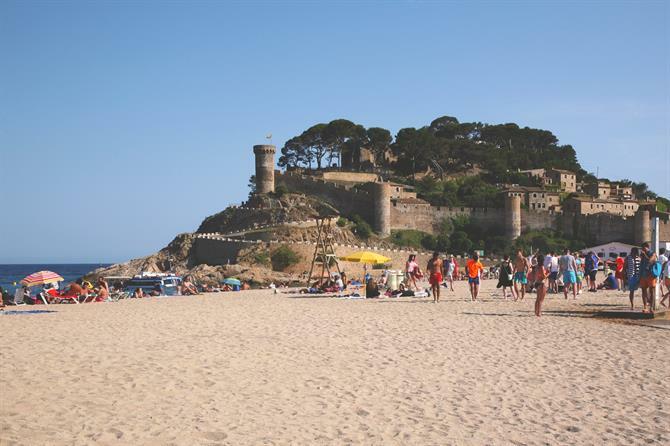 In fact, Tossa de Mar is the last fortified medieval town on the Costa Brava. Take a stroll around and you’ll find that behind its tall walls are thriving restaurants, charming cobblestone pedestrian streets and breathtaking views of the Costa Brava. Its main beach, Platja Gran, is dotted with colorful boats and sun seekers, especially in the summer. It is presided by the medieval fortress of the old town, a truly unique and picturesque sight! It was this white village with its gorgeous surroundings that inspired the famous artist Salvador Dalí. Cadaqués still has a sophisticated yet bohemian ambience today, along with a vibrant cultural life with festive events all year through. 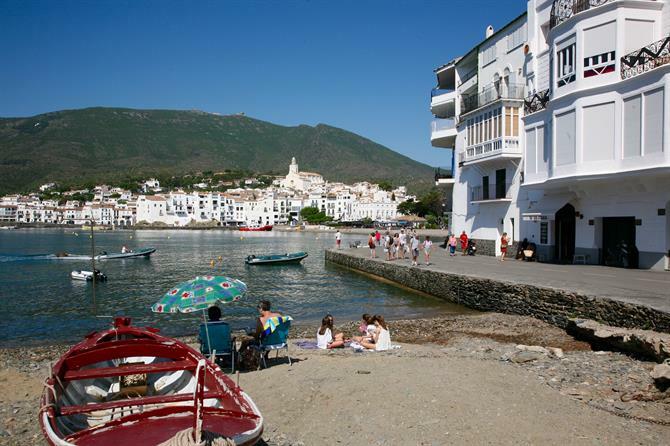 Cadaqués also has a fascinating history, reflected in its architecture. It is home to the famous Casa-Museo de Salvador Dalí (House-Museum of Salvador Dalí) and some nice modernist buildings. Its old town is a labyrinth of cobbled streets, bright white buildings and blue details. For holidaymakers, Cadaqués is a lively seaside town full of shops, restaurants with great local dishes and craft workshops where the hours spent exploring will fly by. And of course there are the magical beach coves of the Cabo de Creus Natural Park, where you can swim in cristalline waters or hike along routes with stunning panoramic views. Calella de Palafrugell is a small village in the region of Bajo Ampurdián on the Costa Brava. With its white houses, narrow streets, wooden boats on the beach and lovely little coves, Calella possesses a magical atmosphere. 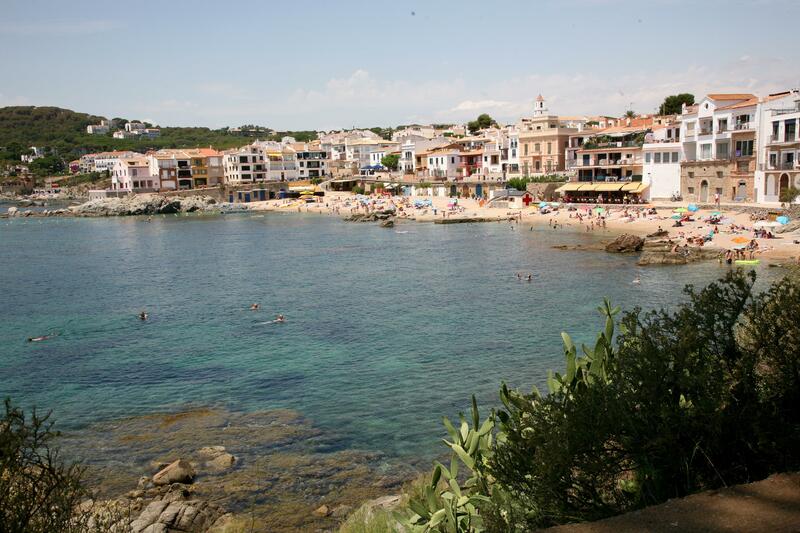 Port Bo, the harbour neighbourhood of Calella de Palafrugell, has even been declared a site of Cultural Heritage of National Importance. There are some real must-sees too in the surroundings, such as the botanical garden and castle of Cap Roig and the Iberian village San Sebastián de la Guarda. 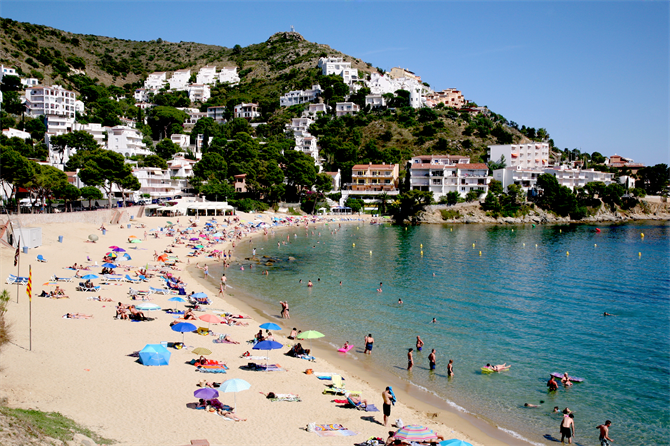 If you are looking for some well-deserved relaxation, the beaches of Calella are your best bet. There are also plenty of fiestas and events to keep you entertained throughout the year. Visit this fairy tale-like town and experience an unforgettable holiday! The former fisherman's village of Blanes should be high on your list. It has gorgeous beaches and rocky coves, nice churches, a lovely old town, a pleasant beach promenade, impressive monuments or landmarks and plenty of restaurants and bars. It also has one of the few fishing ports on the Costa Brava that are still active and a relaxed atmosphere, great for families. It was even officially recognised as a family holiday destination, thanks to its great services and facilities for children. If you decide to visit Blanes during your holiday, you will be able to see and enjoy the best botanical gardens in Europe. 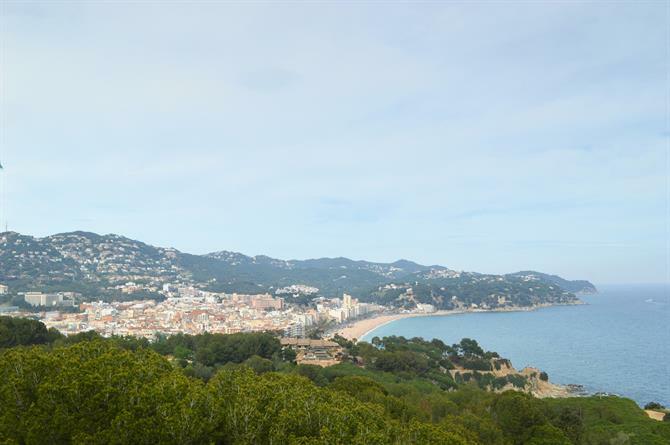 You can also climb the San Juan hill ('Sant Joan' in Catalan) to the castle of the same name, for a spectacular view over Blanes and its coastline. If you decide to stay in Blanes, you will have several beaches and coves to choose from, where you can relax in the sun or enjoy all kinds of activities. In summer, Blanes hosts the biggest International Fireworks Festival of the Costa Brava and one of the most important in Europe. Another beautiful Mediterranean town is Roses. It has a rich historical heritage and a unique location. Roses is an attractive holiday destination, surrounded by the most amazing beaches and natural parks. The most famous and visited monument in Roses is the massive La Ciudadela, a pentagonal military fortress which dates back to the 11th century. Inside the fortress, archaeological sites of Greek, Roman and Visigothic settlements have been found. The Citadel of Roses even hosts a series of concerts that are part of the famous Festival Sons del Mon every summer. An unforgettable event! Trinidad Castle is a Renaissance fortification built in the sixteenth century, on top of an old hermitage at the Poncella tip, right at the entrance of the incredibly beautiful Bay of Roses. More natural beauty can be found in the two important natural parks of Catalonia around Roses: Aiguamolls del Empordà (Marismas del Ampurdán) and the Cabo de Creus park. They offer visitors great hiking routes, picturesque beach coves and an important megalithic complex of dolmens, among others. The coastal town of L'Escala offers a wide variety of culturally enriching activities, traditional festivals, natural reserves and of course, excellent beaches. The Gulf of Roses is its main beach area - a beautiful bay with calm waters, surrounded by mountains. L'Escala is also known for the cute statue of the Little Prince by Antoine de Saint-Exupéry on the beach promenade. The town's biggest cultural attraction is the Archaeological Museum of Catalonia, which shows the remains of a Greek commercial port from the beginning of western civilization, as well as a Roman forum that was the centre of the ancient citadel. On one of its beaches, Moll Grec, you will even have the opportunity to swim next to ancient Greek and Roman ruins. In L'Escala you can enjoy a truly amazing mix of culture and holiday activities in the sun! More cultural and gastronomic experiences in L'Escala include the Anchovy Festival and the Festival of Arts and Culture of Portalblau. Or you can go on a day trip to the nearby medieval village of Sant Martí d'Empuriés. Or cycle along the Fluviá river. Plenty of possibilities! 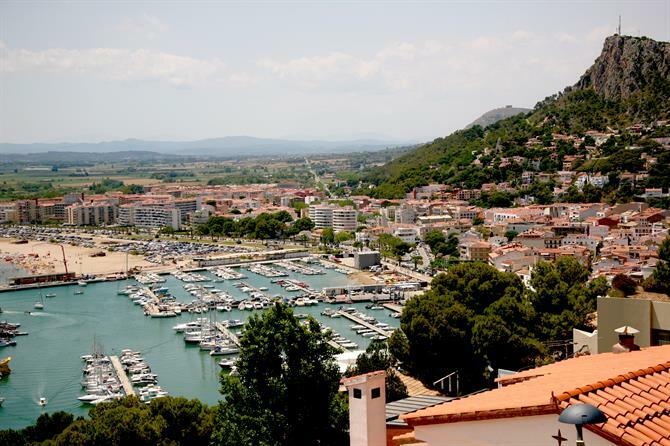 The small beach town of L'Estartit is the easternmost point of Spain. Nestled between the Montgrí Massif mountains and the Mediterranean, it is one of those places where you can both relax on the beach and explore the best natural surroundings, such as the Natural Park of Montgrí, Baix Ter and the Medes Islands. Or how about visiting nearby medieval villages such as Pals? L'Estartit also offers visitors a wide variety of popular festivities, restaurants, bars with terraces and a nice beach promenade to enjoy the summer evenings. It has actually won the prestigious Family Holiday Label, attributed by the Catalan Tourist Board (ACT), and so it is a great holiday destination for families. 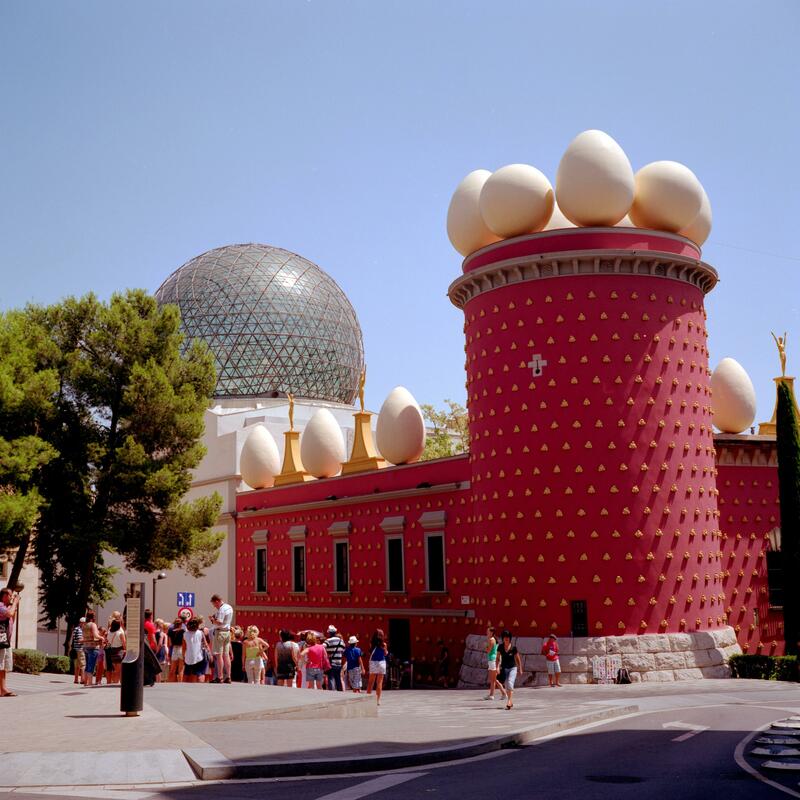 Apart from Cadaqués, Figueres is the town which attracts the most 'Dalí-visitors', as its former theatre, el Teatro de Figueres, was chosen by Dalí to house his prestigious and quite incredible museum. The Torre Gorgot is part of it and the only tower that was left from its medieval walls. The old town still houses some other historical landmarks, such as the medieval Plaza del Ayuntamiento square and the Iglesia Sant Pere church. Part of the old Jewish quarter has been preserved as well. Just 800 meters from the Dalí Museum, in the Bay of Roses, you can also visit the biggest monument of Catalonia and one of the biggest military fortresses in Europe. The San Fernando Castle (Castell de Sant Ferran) covers no fewer than 32 hectares. Figueres is the capital of the Alto Ampurdián and hosts some important festivals, several of which are related to the wine of the Empordà region. The town with one of the main airports for the Costa Brava, Girona, is more than worth visiting. You probably know the picture postcard of the view across the river of the lovely pastel colours of the Casas de l'Onyar. Its enchanting old town holds many more treasures! Walk along its ancient fortress walls with breathtaking views, lose yourself in the splendor of the wonderfully preserved Jewish Quarter, marvel at the Arab baths dating back to the 11th and 12th century, tour the numerous historic landmarks. The impressive Cathedral of Girona certainly stands out. Its Gothic-style nave is the widest in the world! The Placa de la Catedral is also a glorious sight, with a massive staircase that leads up to it. No wonder the sixth season of Games of Thrones was filmed here! In May, you can't miss the Temps de Flor festival. Its numerous flower decorations in the streets make Girona all the more beautiful. Empuriabrava is often called the 'Venice of Spain'. 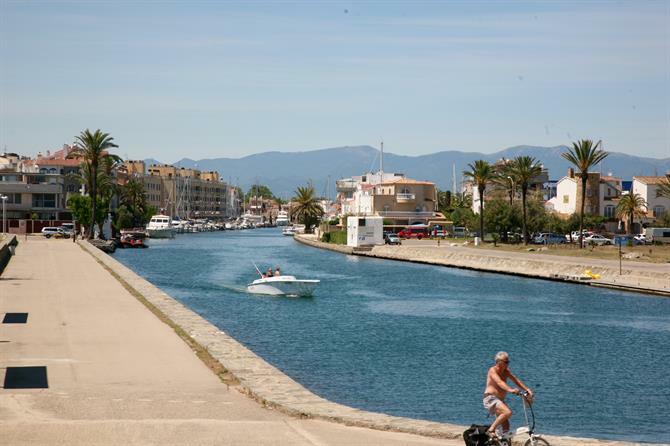 Its 25 kilometres of navigable channels makes it the largest marine residential area in the whole of Europe. A picturesque sight! The beautiful backdrop of mountains adds to the relaxing holiday feeling it exudes. This luxurious Costa Brava town is surrounded by medieval villages and gorgeous stretches of golden sand. You can choose to relax on one of its wonderful beaches, a couple of which are part of the Natural Park of L'Empordà, or explore its historical heritage. You can even go and experience a medieval festival! Last but not least, there's Lloret de Mar, one of the most popular holiday resort towns on the Costa Brava. It is known to be especially popular among younger travellers, but promotes itself increasingly as a great family holiday destination. After all, this city has both culture and nature to offer - everything from medieval castles, informative museums and peaceful parks to amazing beaches! It also boast the biggest waterpark in Europe: Water World. Whichever town on the Costa Brava you end up choosing, there will always be lots to see and do, with something for everyone! On the map below you can find all the Costa Brava towns mentioned in our list. From Blanes in the south, which is said to mark the beginning of the Costa Brava, to Cadaqués, furthest to the north but worth visiting thanks to its rich heritage, including the house of Dalí.